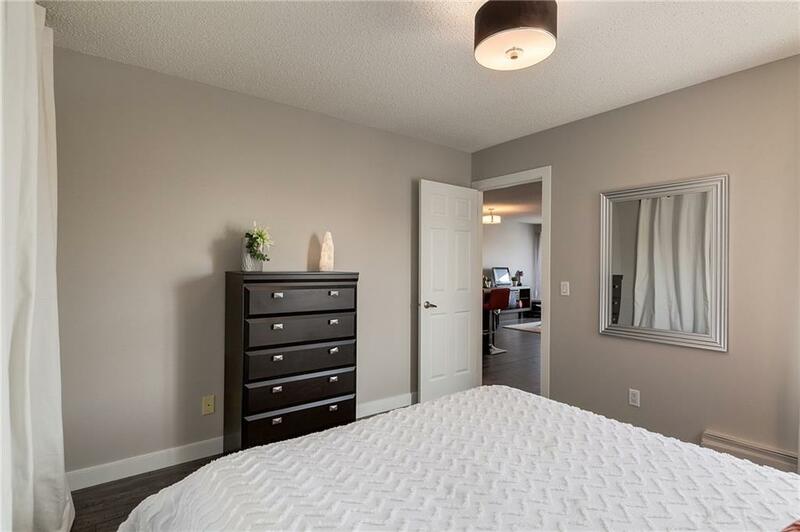 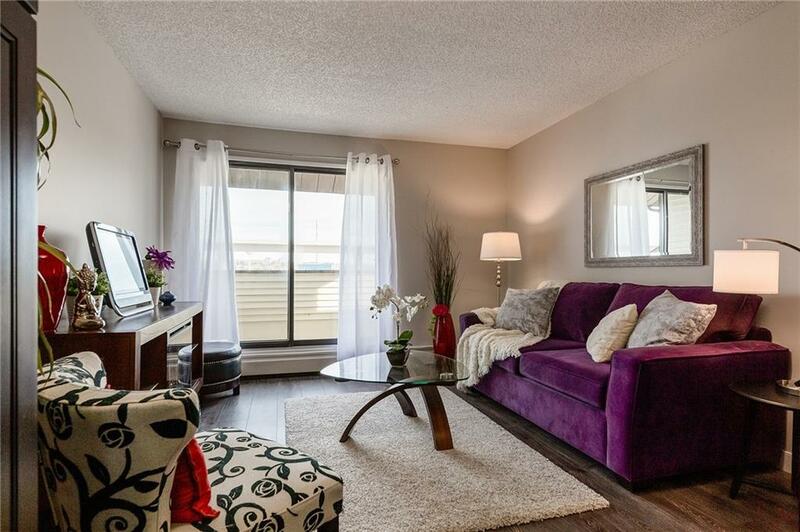 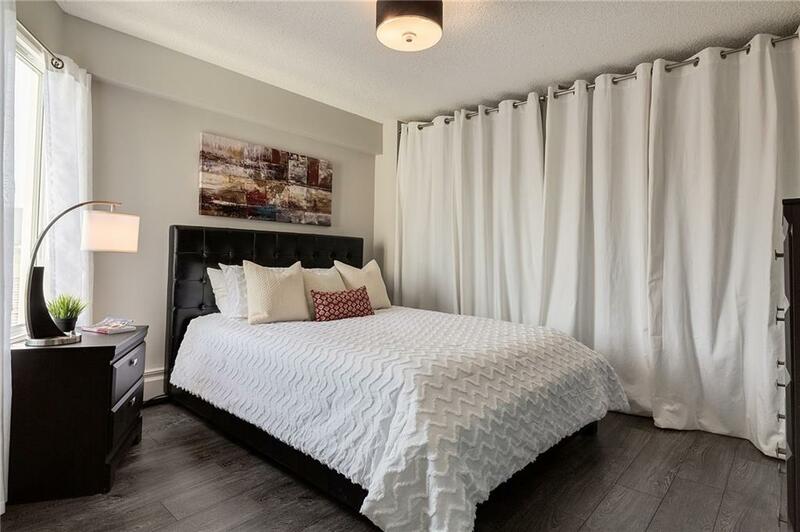 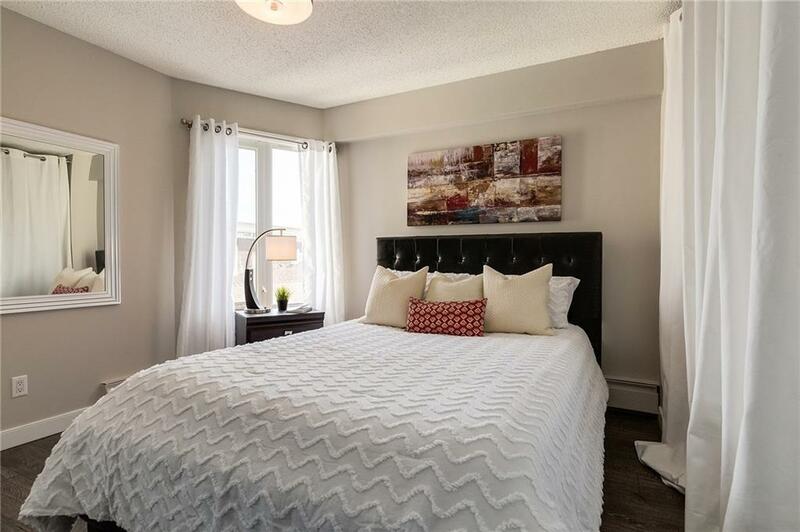 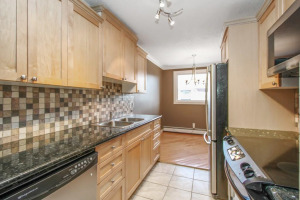 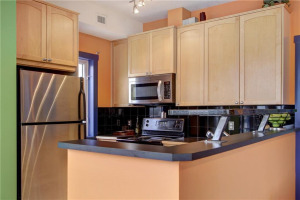 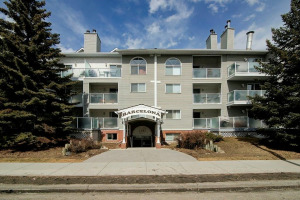 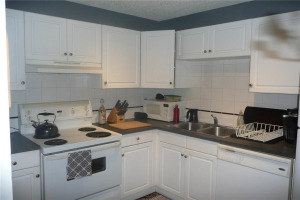 STYLISH & CHIC, RENOVATED top floor corner suite thats ready for you to MOVE IN! 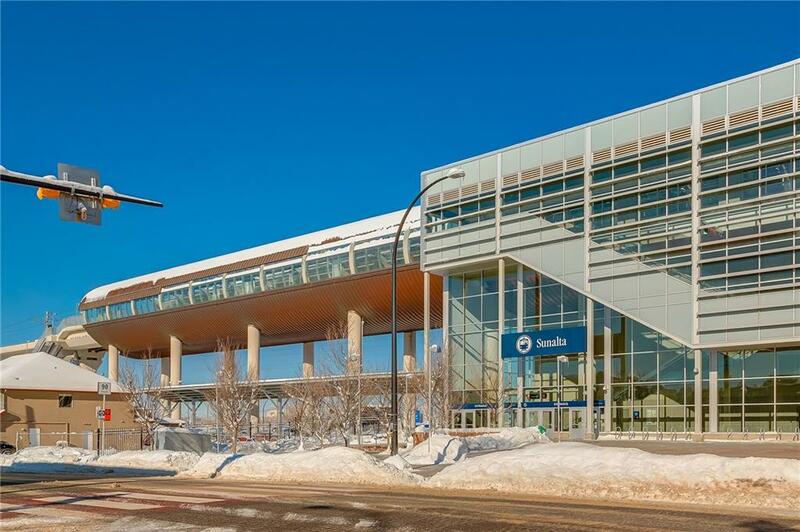 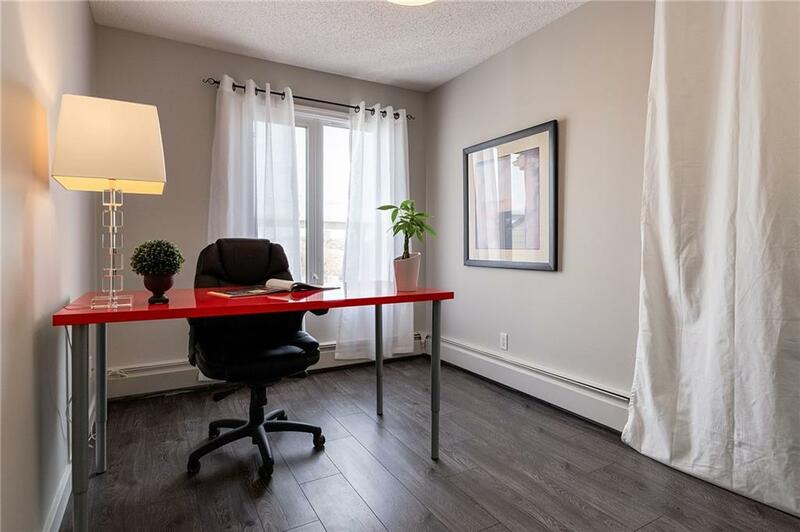 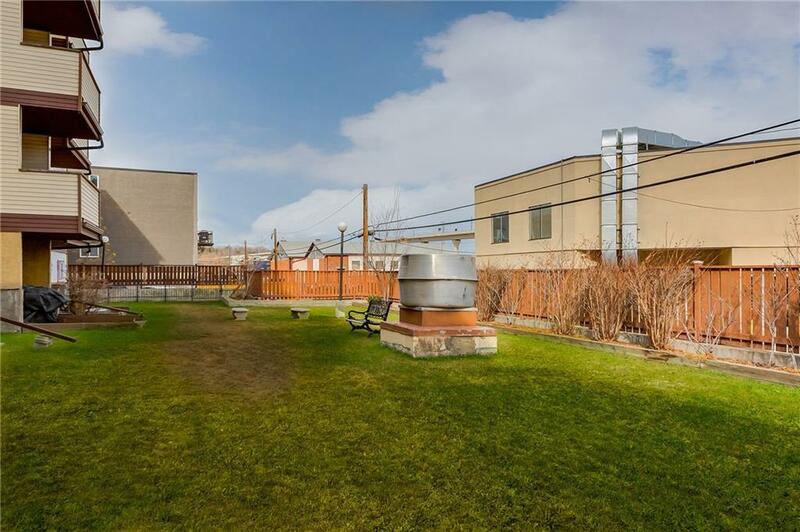 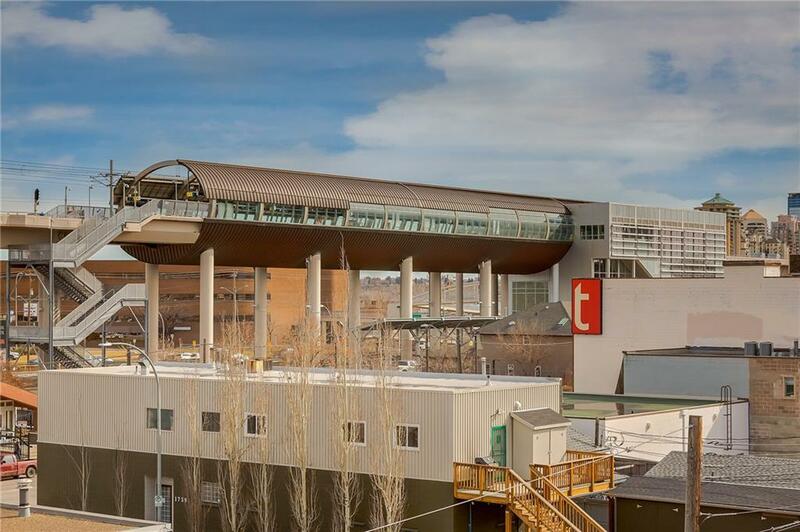 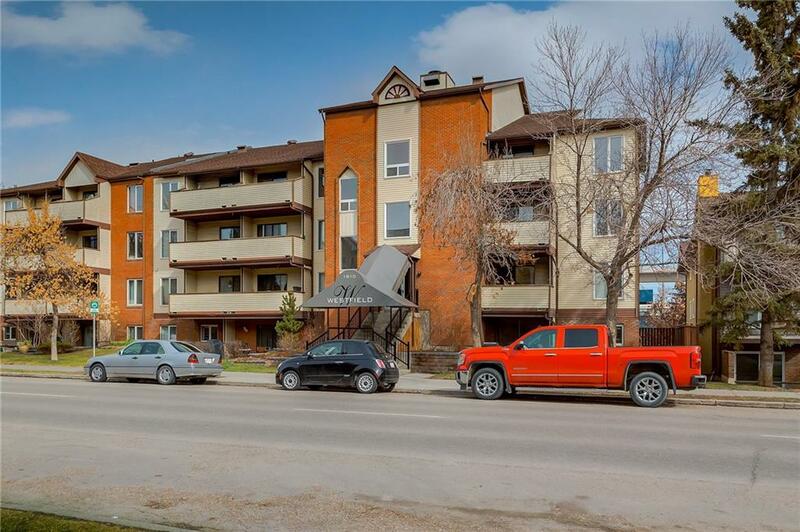 Boasting a great location 1 block to the LRT stop in Sunalta, PLUS with TWO underground parking stalls included this 2 bdrm suite is amazingly priced for the first time buyer or savvy investor. 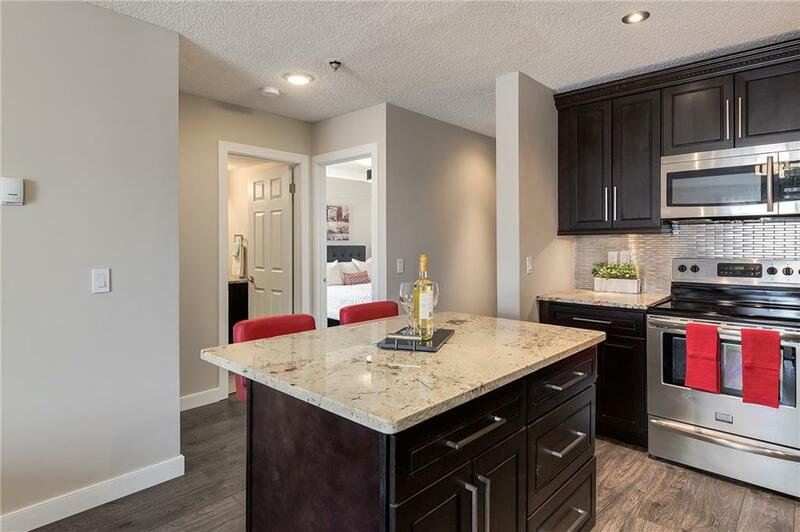 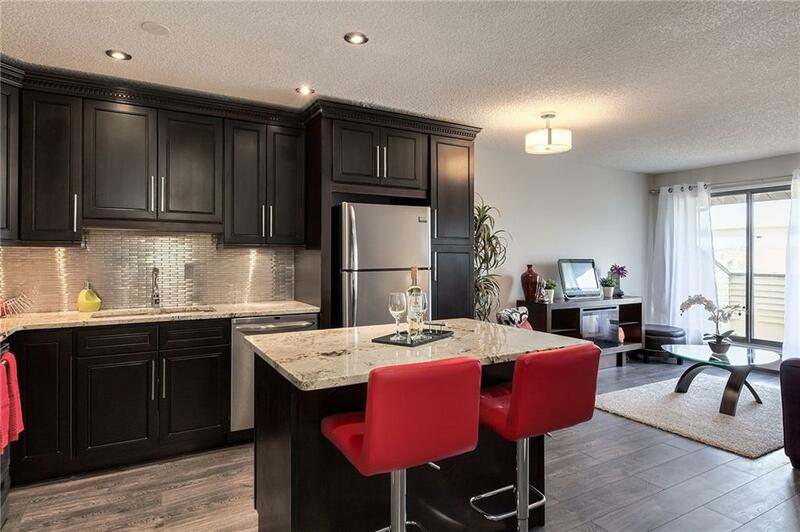 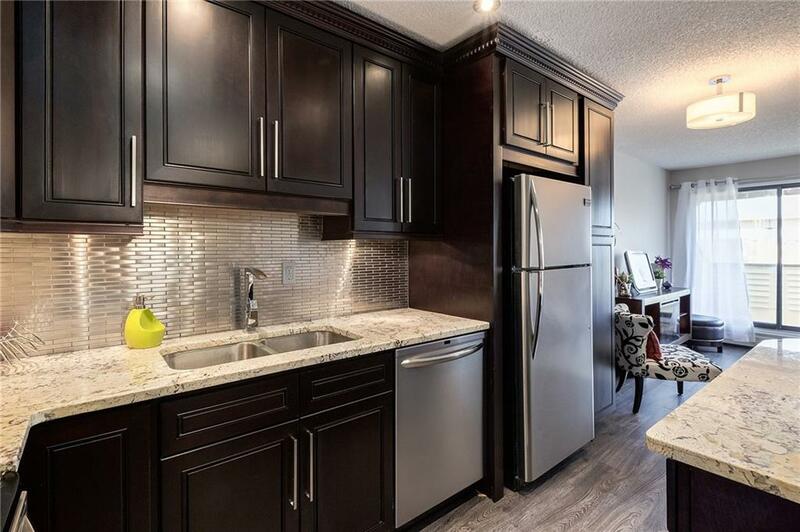 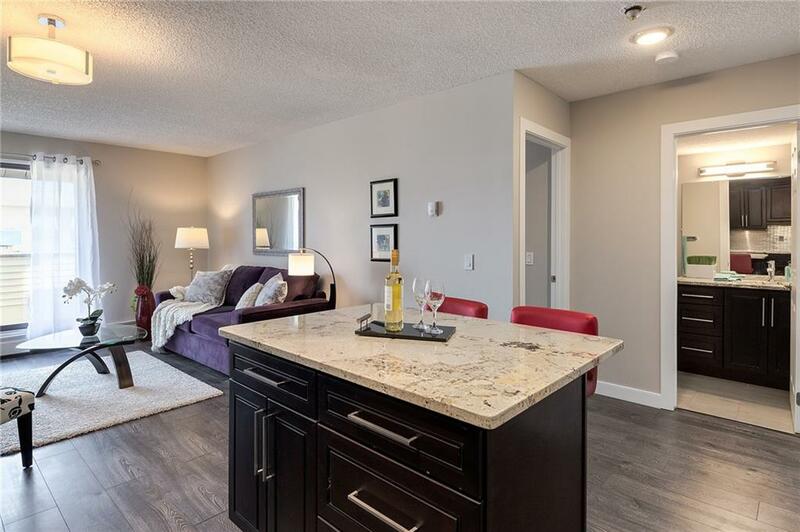 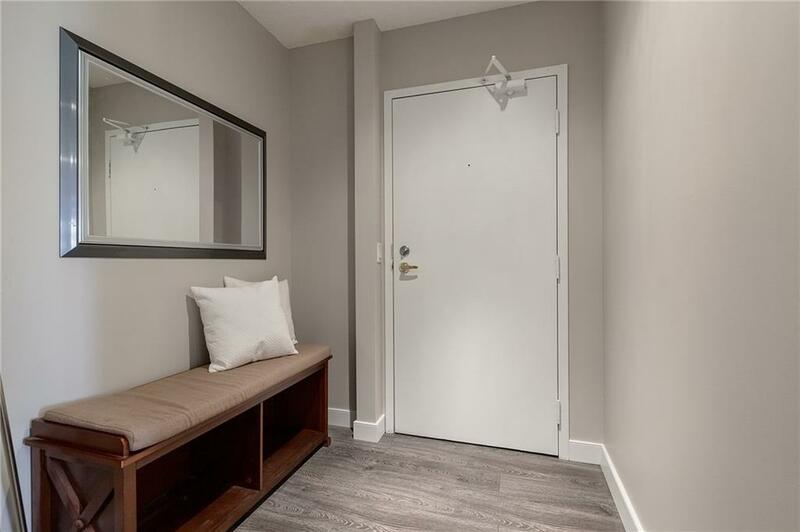 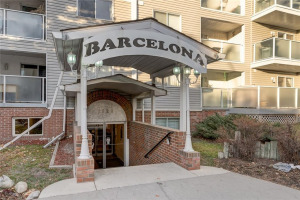 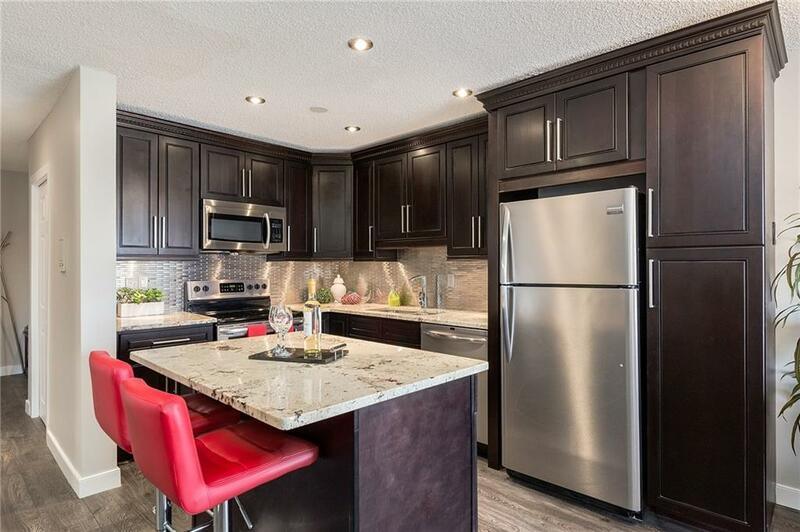 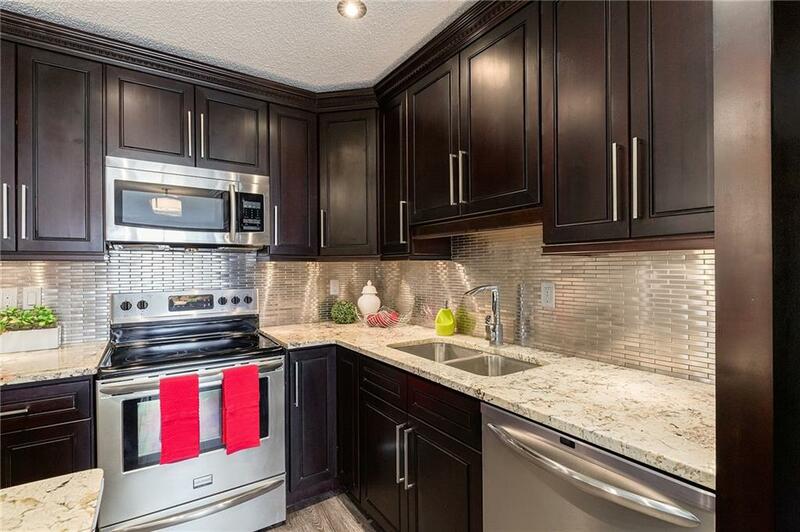 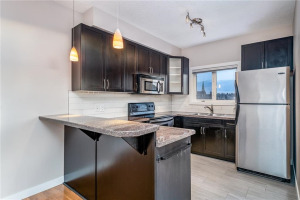 You are sure to feel right at home when you see all this suite has to offer â€“ entertainment style, completely renovated kitchen with island, granite counter tops, mocha cabinets, gorgeous backsplash & stainless steel appliances. 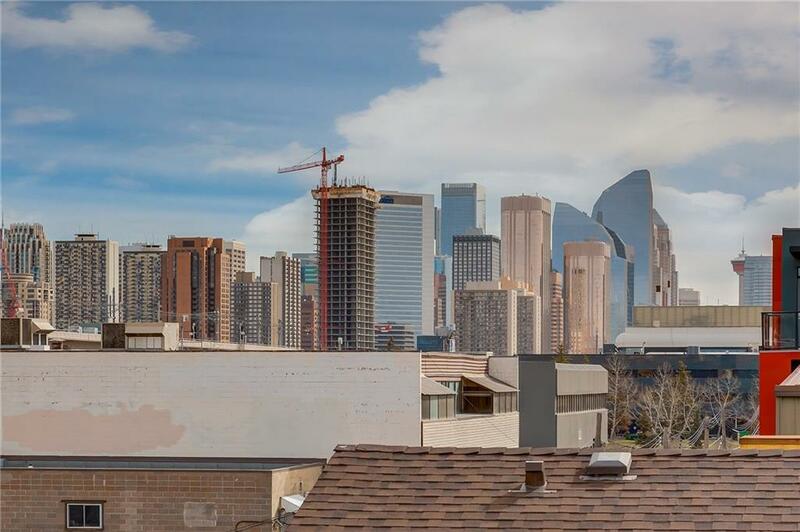 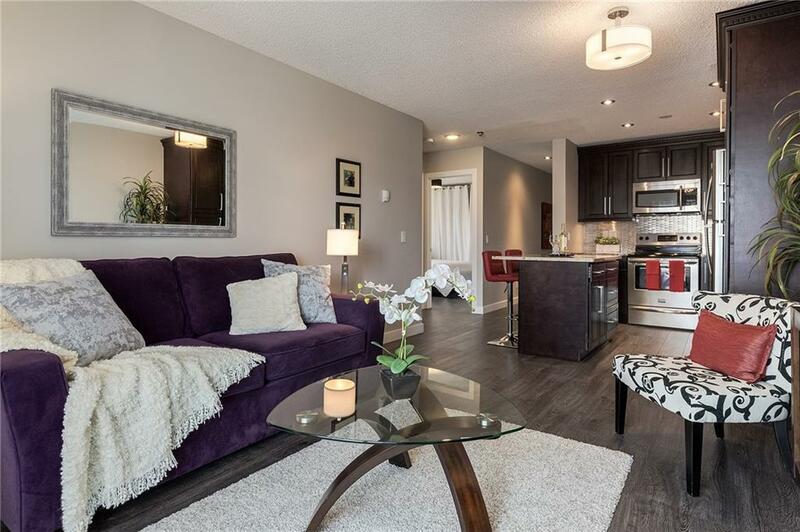 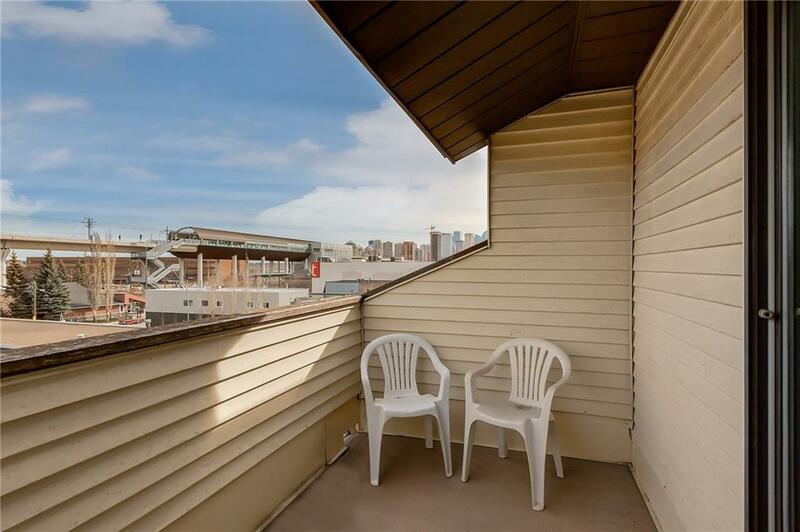 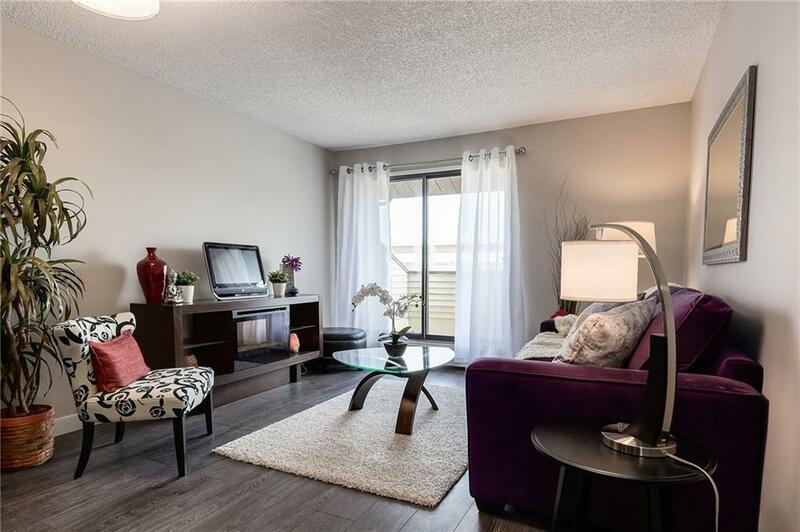 There is new contemporary lighting throughout, laminate flooring & patio doors off the living room lead to the NE balcony with city skyline views. 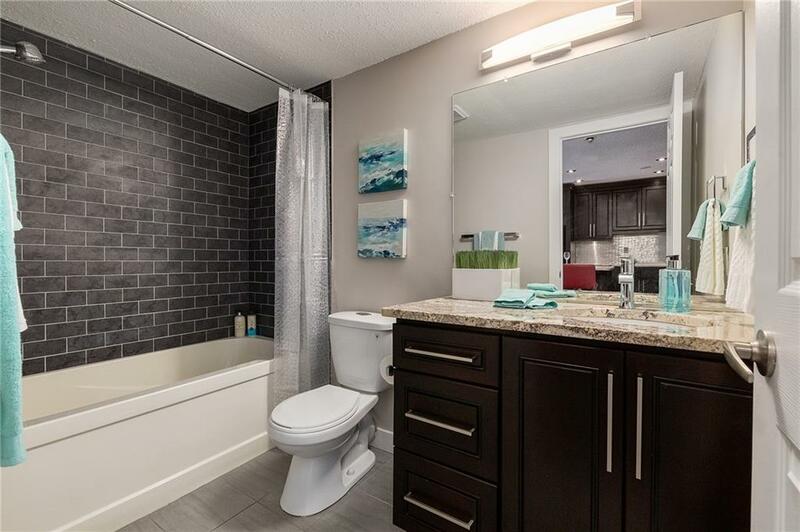 The reno'd bath showcases full tile surround, soaker tub & oversized vanity. 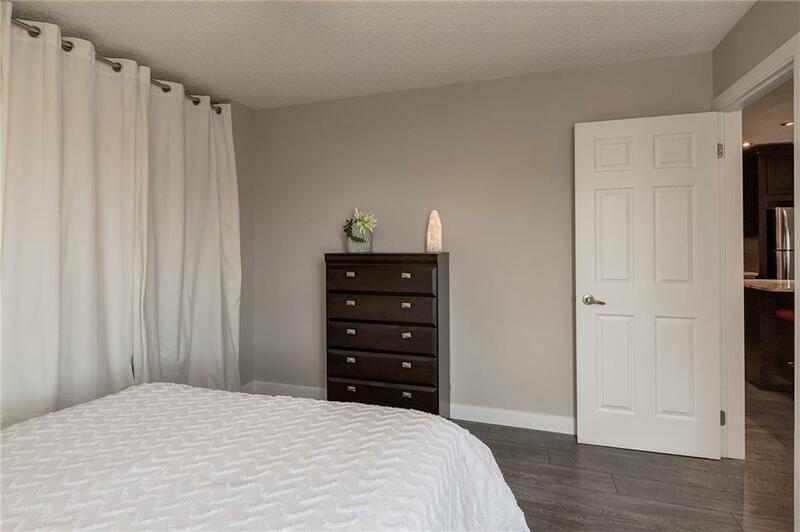 Master bedroom has a wall of closets (YES!) 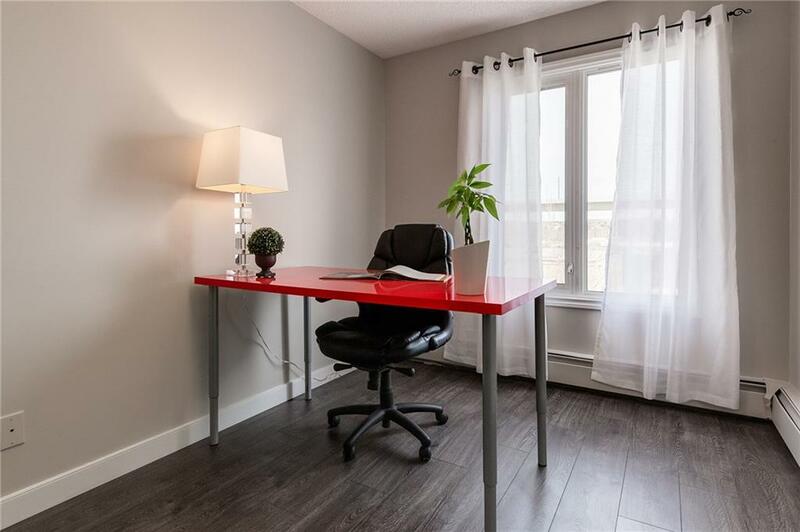 & the second bedroom is perfect for a room mate or home office. 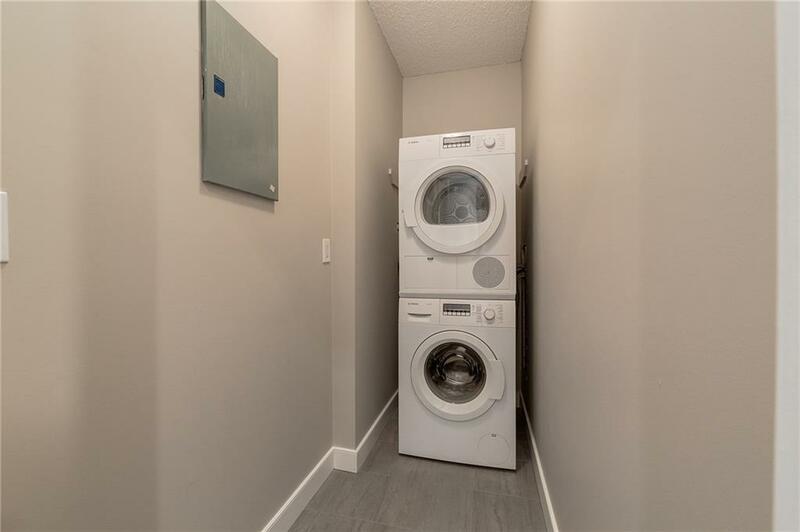 Don't forget the in-suite laundry. 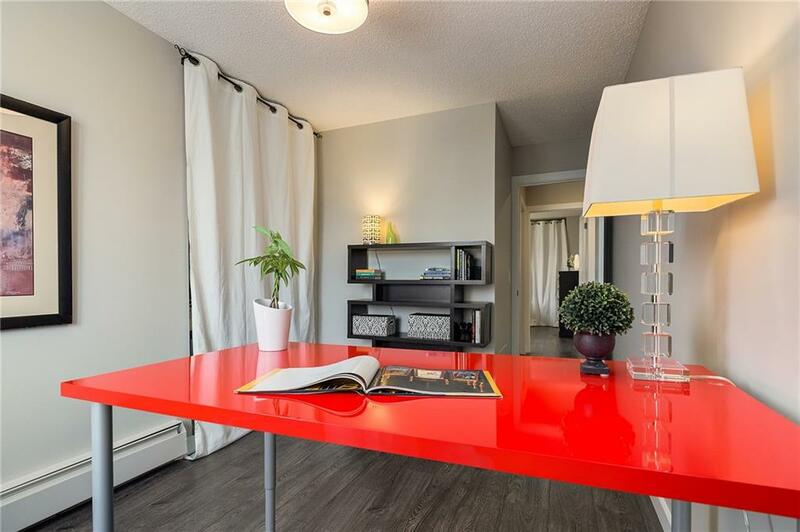 Call to view today because all that's missing is you!